We've had a lot of pretty awesome things going on this week with our birthdays, house progress and such. I usually write posts about 5 happy things but tonight I've got 7! 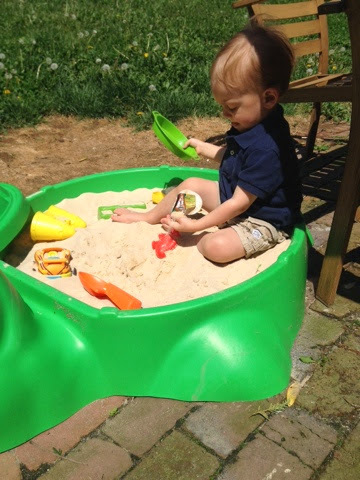 1) This sandbox was the best $30 we have ever spent! 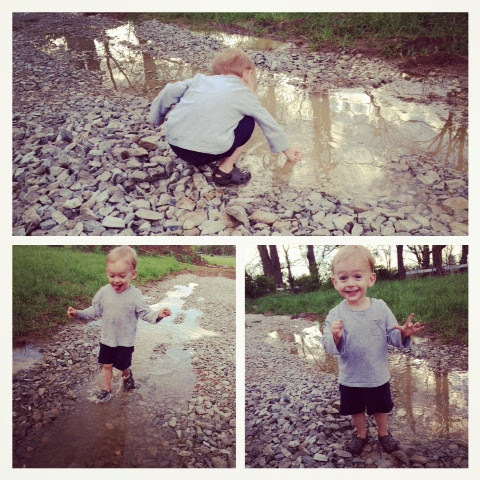 Keeps little man busy for long periods of time. 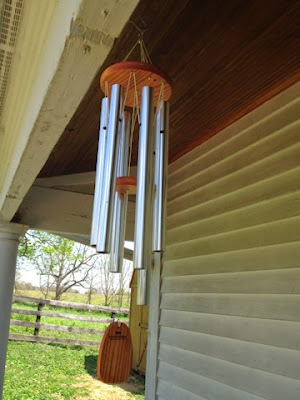 2) The wind chimes David got me for my birthday. They sound so beautiful and peaceful. 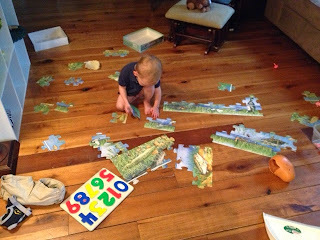 3) Watching Ayden put his floor puzzles together. He puts it together in chunks then needs help putting those together. 4) We had a rabbit nibbling in our yard today and have a pair of cardinals who've made a nest right next to our front door. 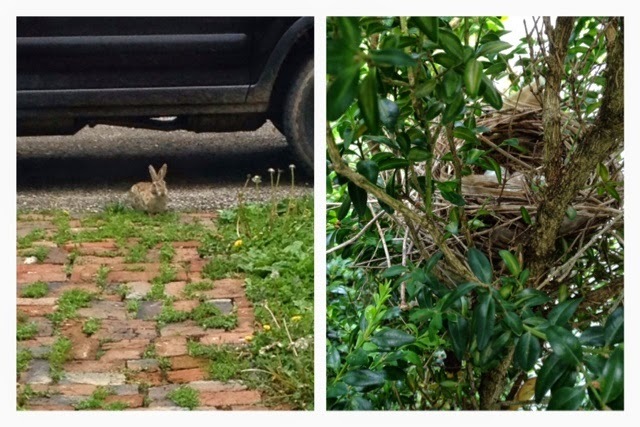 There are 3 or 4 eggs. Can't wait to watch the babies grow! 5) Watching Ayden play in the puddles after the rain we've been having. 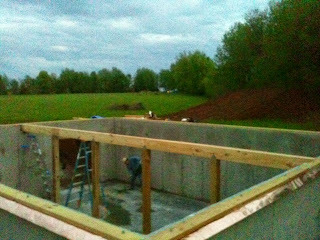 6) House progress: The basement posts are in place and the beam pieces have been cut and set in place! 7) We are going to the zoo with our play group friends tomorrow! I have been looking forward to this so much! There you have it, 7 things that are adding happiness to my life at the moment! What are your 7 happy things? Flashback! Here's what we were up to one year ago today: "First Hive Check"
And two years ago today: "Return of the Hourly Night Grunts"